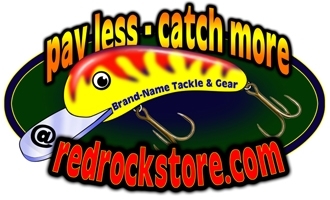 Gear, Accessories, Gifts and Expertise for the outdoor adventurer! Wall Art, Wine Glasses and More! Joe is a veteran of wildlife art. Born and raised in northeastern Minnesota on the same wilderness resort which he operates and having served as a wilderness guide, Joe developed his artistic skills and observations in his early life. Owning and operating an art gallery is the perfect complement for the wilderness resort setting in northern Minnesota. 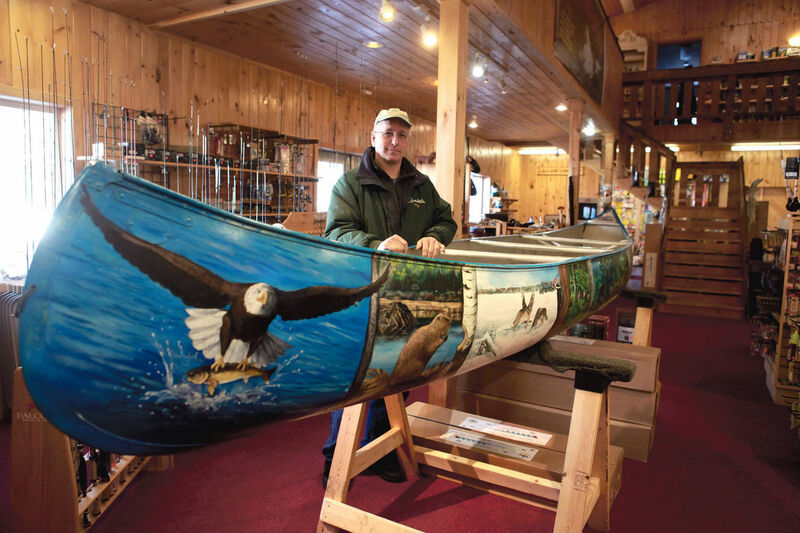 Joe brings his own style of Minnesota art to the Fernberg Road and Boundary Waters. 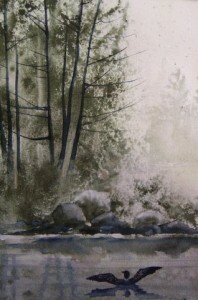 Nancy Ensley-Watercolor Nancy is a self taught artist who has been painting for five years. She worked as a commercial artist in high school followed by traditional jobs and, after retiring to the Fernberg neighborhood, discovered watercolor painting. She aims for traditional transparent methods in watercolor, never using white paint and saving the white of the paper instead. But she also tries new techniques that she develops herself. All of her work is original....from her imagination, life, andher own reference photographs with the exception of rare inspiration from other photographers(always with permission). Claire Taylor-Watercolor & Stained Glass Claire is a botanical and wildlife artist living in the Ely area. 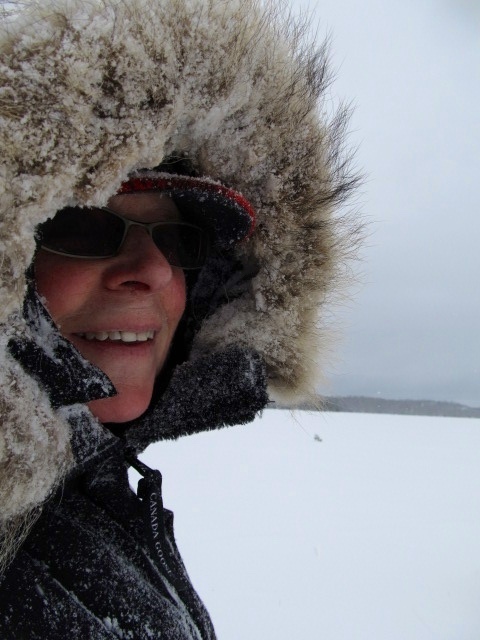 Claire was raised in the Chicago area and spent many summers on Burntside Lake outside of Ely. After attending the University of Arizona and spending 10 years in Phoenix, she returned permanently to Minnesota in 1979. Claire has been working with stained glass since 1981 and paints since 1984. Her works have been shown at Anthonyâs in Minneapolis, McCormick Ranch in Scottsdale and Kess Gallery and Grand Ely Lodge in Ely.Claire won the 2000 and 2001 Ely Blueberry Arts Festival Cancellation Stamp design. 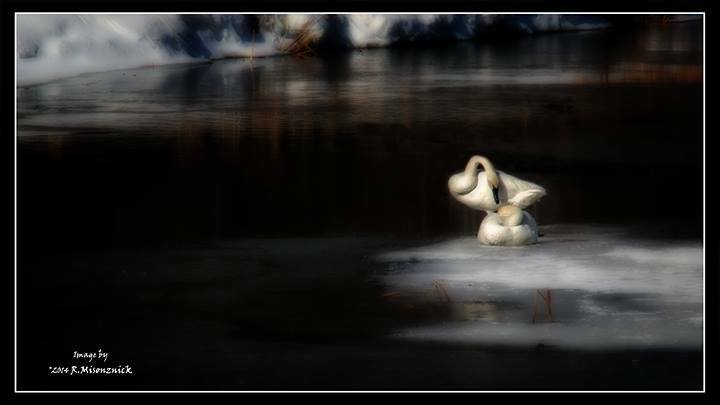 Roy Misonznick- Digital Art "Imagenation" is my goal for the viewer. To get you to pause...to see...to think..to feel...to imagine. Produces artistic commercial photographs and professional videos of reality, sports, nature, theater/dance, and special events for websites, brochures, newsletters and more.